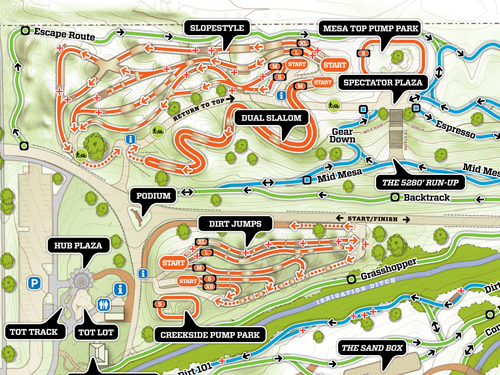 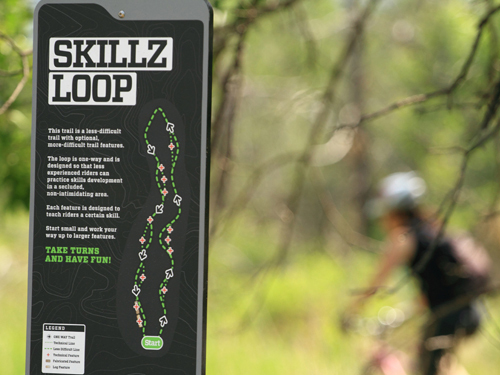 Alpine Bike Parks designed the terrain parks and trail features for Valmont Bike Park over a two-year design development period. 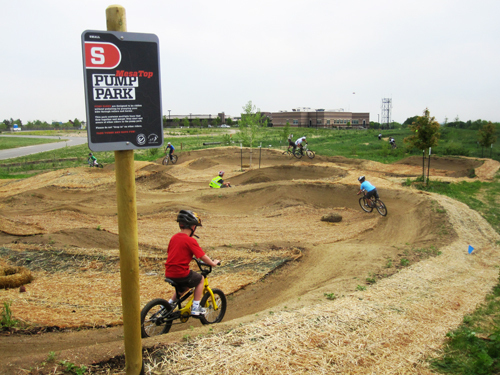 Our scope of work included site analysis, conceptual and schematic design, design development, construction documents, budget estimates, and preparation of tendering documents. 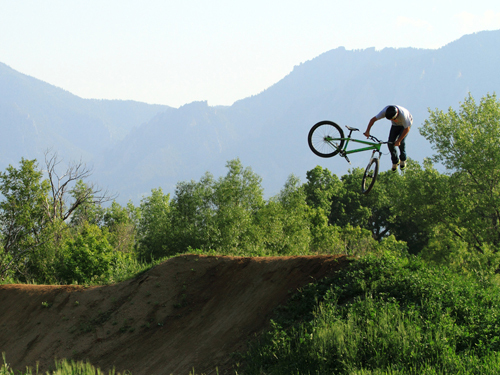 Alpine managed stakeholder meetings and helped Valmont through a detailed and complex approval process with the City of Boulder. 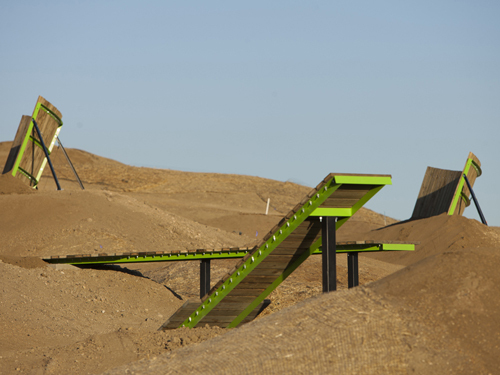 Following design development, Alpine won the construction bid and coordinated our own staff and subcontractors to carry out the field design and construction of this trendsetting facility. 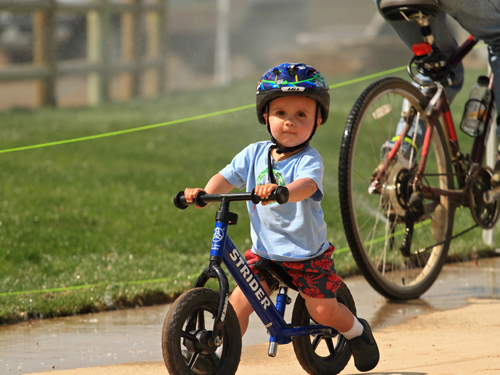 Throughout construction, Alpine was the contractor responsible for all bicycle amenities under the guidance of general contractor J2 Contracting of Greeley, CO. 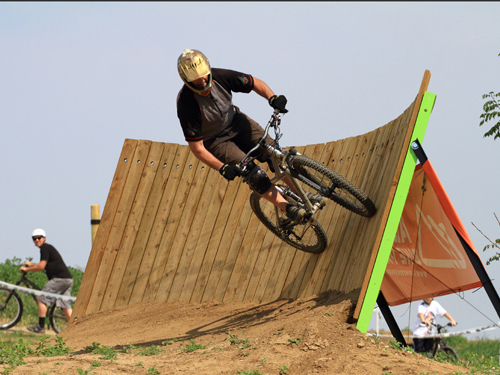 Trail Dynamics worked as our subcontractor to carry out incredible work on the cyclocross staircases and cross-country trails. 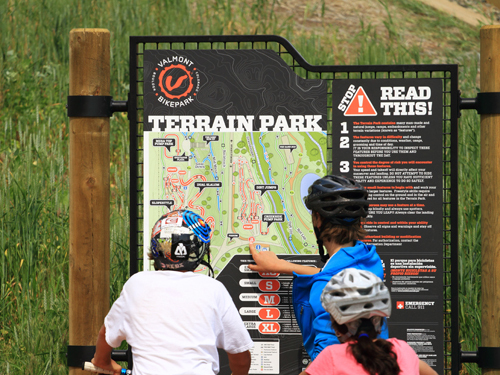 When it opened in June 2011, Valmont Bike Park set the new standard for world-class municipal bike park facilities. 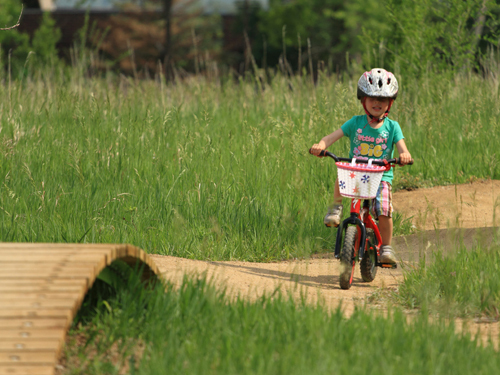 Valmont's important precedents include its 42-acre site in an urban area, quality of construction, ease of access, a variety of amenities, detail of finish, programming, landscaping, and engineering requirements. 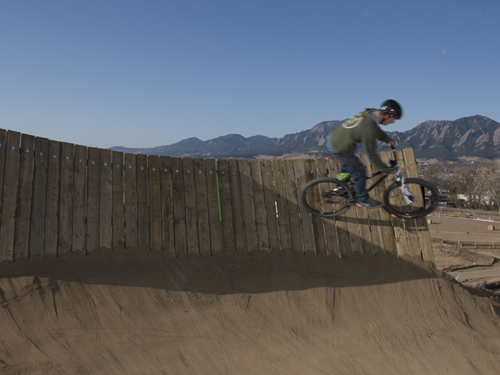 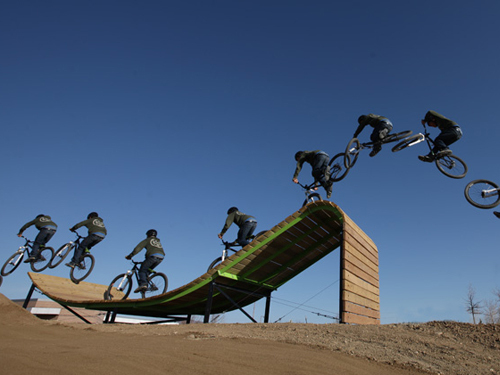 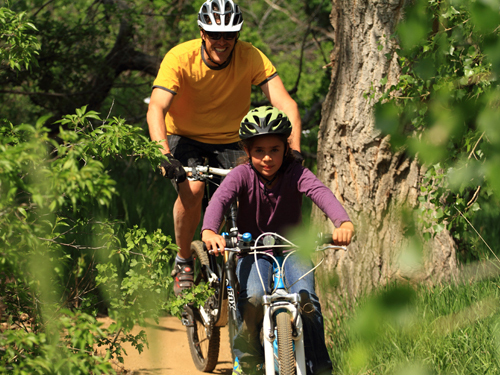 The facility's bike amenities include a UCI Cyclocross Facility, XC trails, Slopestyle, Dirt Jumps, Multiple Pump Parks, and a Dual Slalom Course. 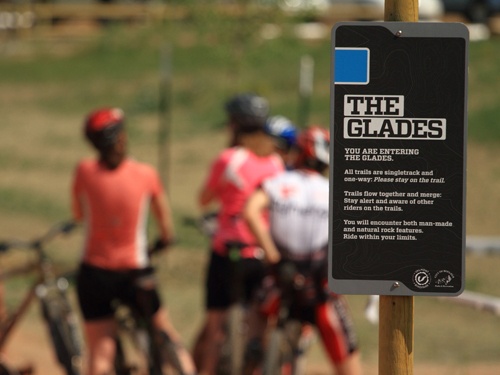 The facility will host events on a weekly basis and will serve as the core facility for community cycling and programming in the Denver Metropolitan Area. 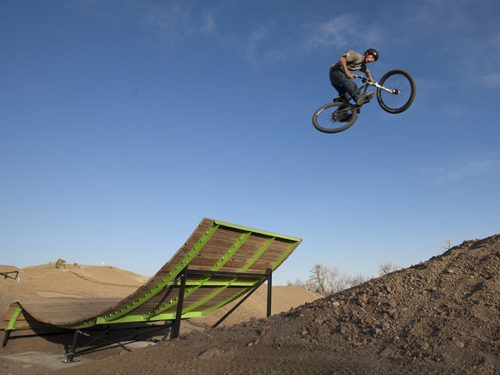 The Valmont Bike Park Opening from Alpine Bike Parks on Vimeo.